Online Baccarat is a popular card game where the player competes against the banker. High rollers are noted for their love of this game of chance, but anyone, no matter what the size of their bankroll is, can find an online baccarat table that will accommodate their budget. Before getting into the specifics of baccarat strategy, it’s important to have solid grounding in the basics of the game. With a clear understanding of these basics, you’ll be able to employ the strategies and tactics required to make those choices that will best enhance your chances of winning at the online Baccarat table. 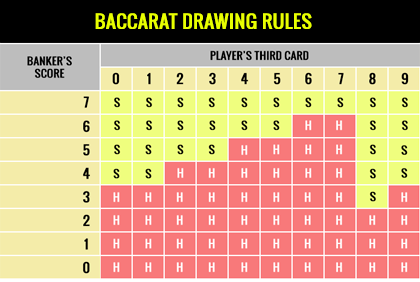 One of the aspects of baccarat that attracts so many players is the fact that the rules governing the game are so clearly defined. Often these rules will directly point you in the right direction concerning your next move. Much like in blackjack, with baccarat the player competes against the banker/dealer. However, unlike blackjack, there’s no way to go bust in baccarat. This is important to understand because, in essence, depending on what the banker is holding, the player certainly has a chance of winning with virtually every hand. The best baccarat hand has a total of nine points. Between the banker and player, the one who has the hand whose points total the closest to nine is the winner. If the two tie, then it’s a push and bets are returned. In baccarat, each card has a specific numerical value. Again, if you are a blackjack player, you certainly understand this concept. However, two of the major differences between baccarat and 21 are the manner in which point values are assigned to certain cards and the manner in which points are totaled. Baccarat points are assigned to cards in the following fashion. An Ace is worth 1 point, and cards numbered 2 through 9 have a value equal to the number displayed. Thus, a 2 is worth two points, a 3 is three, and so forth. 10s, Jacks, Queens and Kings are all valued at zero. After the player and banker are dealt their two cards, they add the value of each of their cards together and the number of points they have is equal to the number of that sum that is furthest to the right. As an example if your two cards totaled 10, you would have 0, while if you hold a 6 and 7 (13), you would have 3 points. An example of head-to-head play would be if the player was dealt a 2 and 7, they would be holding 9 points. If the banker holds a 10 and a 6, they would have 6 points. If this were the case, the player would win that hand. Players and bankers, under certain circumstances, may draw a third card. If a player or banker is holding cards that total 8 or 9, then they must stand. A player holding 5 or less must hit. If the player stands with 6 or 7 then the banker must hit if they are holding 5 or less. Bankers must stand on 8 or 9. On the occasion that the banker is not holding 8 or 9 points and the player elects to draw a third card, the banker may be required to also take a third card. Whether or not the banker does take that third card is determined by the player’s point total after the third card is dealt. In the case of a player holding a 10 and 4 for 4 points, the player would draw. If their third card is a 6, the player would have 0 points (10+4+6 = 20, score being 0), but if they drew a 4, the player would be holding 8 points (10+4+4 = 18, score being 8). In this latter example, if the player has 8 points and the banker 5, the banker would have to stand and would lose. If the player, on the other hand, had 0 points then the banker would win with 5. For specifics as to when the banker may stand or must hit, please see the chart below. These rules regarding what the banker must do are hard and must be followed. Baccarat allows you to make three different bets. A player may wager on his/her hand, the banker’s hand, or a tie. Bets are made before any cards are dealt, which means you are wagering in the dark. The house edges listed above, which are based on playing online baccarat with eight decks of cards, definitely favor the banker, with the player bet being a close second. Both have low house edges. The draw bet is exceptionally risky and should only be made occasionally and if you are on a winning streak. Winning player bets pay 19-20 while the banker always makes even money. A tie bet pays 8-1 or 9-1. The following tactics and strategies will give you an edge when playing online baccarat. Use this information to get the most out of your online baccarat experience. Remember that baccarat is a game of chance that is governed by very strict rules regarding what players may and may not do in terms of standing and hitting. If this is possible choose to be the banker. It’s profitable to do so because the banker receives a 5% commission on all wins. In order to be the banker, you must possess the resources to cover all bets. When playing online baccarat you probably won’t be given this opportunity. At this point, only land-based casinos offer this lucrative option. The payout on a tie is substantial, either 8-1 or 9-1 depending on the online casino. However, the house edge is over 14%. That makes a tie a very bad bet to make. If you really want to risk some cash on this wager, do so only when ahead and use this option sparingly. After seven straight losses, which is probable with the tie bet, there’s no way to break even unless you hit the next draw bet. When playing online baccarat you may be given an additional bonus or side bet that allows you to pick the tying number. If the tie bet is a close to impossible wager on which to make money, this one is even more of a long shot. Don’t play it. Use sound bankroll management techniques. Make one-unit bets until you are ahead by 10% or more, and then double your wager. If you hit again, then double again. Once you lose, go back to your original one-unit bet. Learn to play winning streaks and when to recognize when a streak is ending. Leave the table when you are on the plus side. Remember that winning streaks eventually end and turn into losing streaks. Knowing the rules is important. This is a game that does not offer a lot of choice; know when it’s in your best interest to stand and when to hit. Betting on the banker offers you a real edge, so feel free to do so. Finally, if you get into a betting rhythm, online baccarat can really pick up speed and you can lose control of the game. Take your time, think about what you are doing, and make smart decisions. Playing too fast can result in your losing cash very quickly. If you’re tired or distracted, stop playing. Know when to walk away. Online baccarat is a lot of fun to play, and, if you go on a winning streak, you can make some cash. Plus, there are many variants of this game available online including, mini baccarat, high stakes baccarat, and VIP baccarat. Different versions of baccarat will usually include additional betting opportunities, special side bets, and increased minimums and/or maximums. 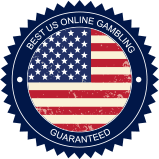 The best advice anyone can get concerning online baccarat is to be patient when playing, consistent in your choices, and unhurried in making decisions. Enjoy online baccarat and best of luck playing.